(Melbourne, FL). 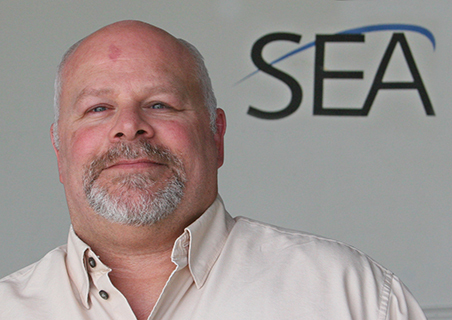 May 22, 2018 —Southeast Aerospace, a leading Aerospace Solutions company, is pleased to welcome Ron Symonette, as our new Senior Program Manager. Ron brings over 25 years of aviation industry experience, with 21 years at United Rotorcraft (a division of Air Methods). As a Program Manager at United Rotorcraft, Ron oversaw an Emergency Medical Services interior and avionics STC development for Airbus EC130 T2, ushering in the first EMS STC to the market for this airframe. He also managed the design upgrade to legacy multi mission interior kits, initially designed for the US Army Blackhawks, to integrate into the new Sikorsky UH-60M for Foreign Military Sales (FMS) projects. Ron is well versed in program management for Bell 407, Airbus EC 130/145 and Airbus AS 350 airframes. Ron received his Bachelor’s Degree in Business Administration/Aviation Maintenance and is a licensed FAA A&P mechanic. Ron’s passion for aviation began as a young child while island hopping in the Bahamas with a family friend, and continues to be fascinated by the ability to take flight and seemingly defy gravity. Ron can be reached at 321-255-9877 Ext. 265, or email Ron.Symonette@seaerospace.com.